is the co-creation of Sara Wiseman and Dr. Steve Koc. A love story in mantra. Called "the ultimate relaxation music," this is ideal for lying on the floor with headphones on and going on a transformative healing journey. Great for massage, tantra, or any time you want to connect deeply. WINNER, Locals Only CD, KINK FM, Portland. Indie tantra rock for the spiritually inclined. WINNER, Independent Music Awards! An ecstatic journey from root to crown. Tribal beat entwines with sacred mantra and world instrumentation. Uncoiled is a journey to infinite opening through tribal rhythms, exotic instrumentation, and vocals in Sanskirt. ​Luminous, etheric mantra. 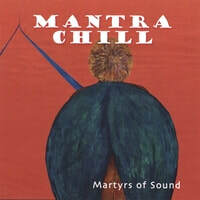 A collection of ancient East Indian mantras exquisitely layered with organic instrumentation and luminous vocals that induce the serene state experienced in deep meditation or prayer. Martyrs of Sound Interview with Ragunatha Dasa! Click to listen.